"Hey, everybody! The fruit's here!" WELLNESS DELIVERED! 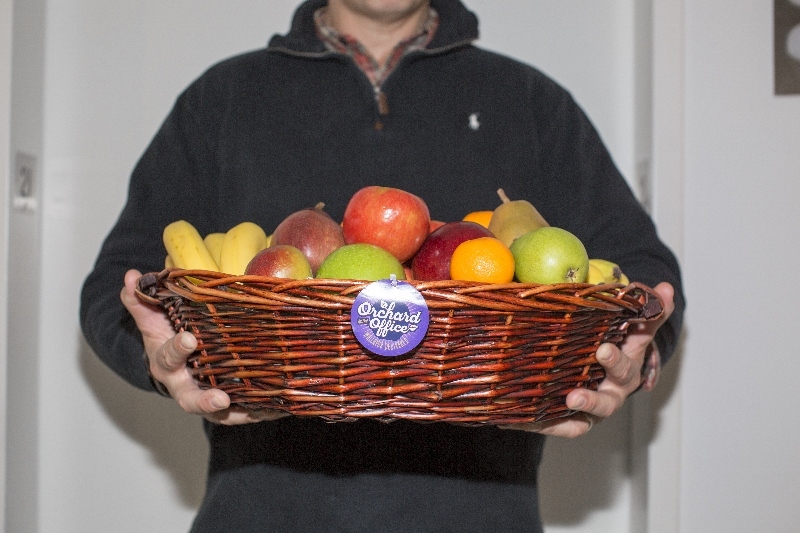 Fresh fruit at the office is an investment in your employees’ health that yields amazing dividends. 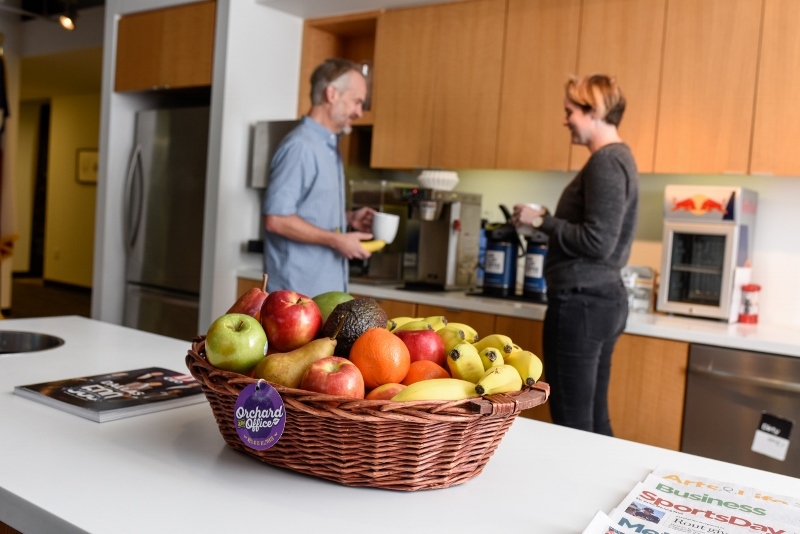 Fewer sick days, increased focus, morale, and productivity…all in the form of regular fresh fruit delivery from ORCHARD At The OFFICE. NOTHING BUT THE BEST. These options come with our premium staple fruits: bananas, apples, pears, oranges, clementines, kiwi, and seasonal varieties such as plums, peaches and nectarines. Make sure to take advantage of our Sweet Sides as well: grapes, berries, mango, avocado, and water-infusion ingredients! AS YOU LIKE IT. If you'd like to customize your baskets to get a little more of this or a lot more of that, all you have to do is mention it in the "Notes/Directions" field and we'll make it happen! And if we ever have questions, we'll be sure to contact you.